High quality and reasonable pricing. That’s what our clients have come to expect from us since 2013. We help clients hatch results that boost their bottom lines. We do it through a thorough understanding of their specific business challenges, helping them invest appropriately in digital solutions. At Eggs Media – Toronto Web Design Company, we provide exceptional web and graphic design, hosting, and app development services. Recently our efforts were recognized by a third-party B2B market research firm, Clutch, based in Washington, D.C. 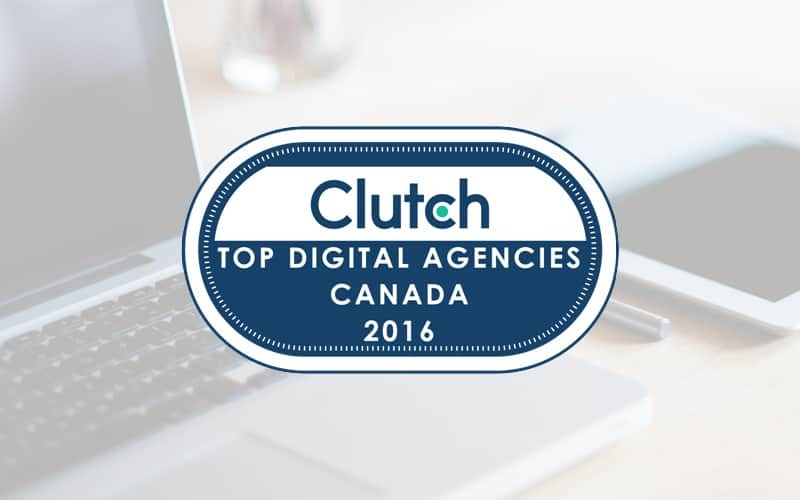 Clutch has included us on their list of leading digital agencies in Canada. That’s a significant recognition, and all the more meaningful, because of Clutch’s stringent evaluation process based on a number of quantitative measures as well as qualitative feedback received from agency clients. That’s high praise and we’re happy to have been included among the best of the best. We invite you to visit our Clutch profile to learn more about us, and the clients we serve. 3. What Makes You Trust a Web Design Company?